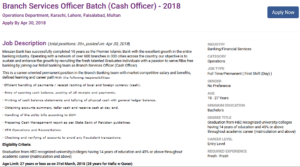 Application are invited for following posts in Meezan Bank jobs 2018. Meezan Bank has successfully completed 15 years as the Premier Islamic Bank with the excellent growth in the entire banking industry. 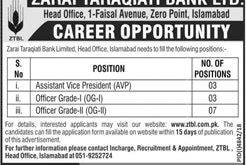 Operating with a network of over 600 branches in 300 cities across the country, our objective is to sustain and enhance the growth by recruiting the fresh talented Graduates individuals with a passion to serve Riba free banking by joining our Retail banking team as Branch Services Officer (Cash Officer). 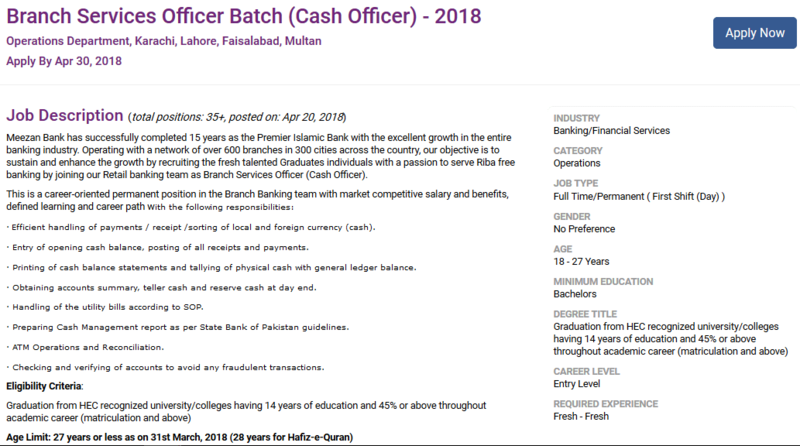 Age Limit: 27 years or less as on 31st March, 2018 (28 years for Hafiz-e-Quran).